Late October through early November is the shoulder season for steelhead in the Pacific Northwest. 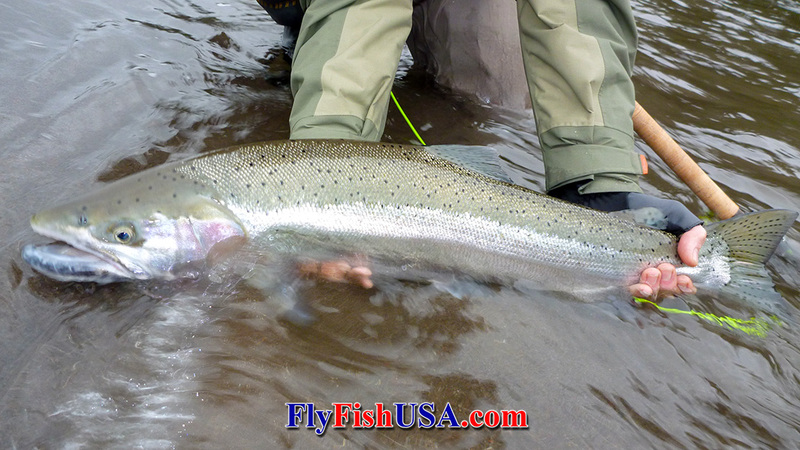 There are late summer steelhead around, and a few winter steelhead starting to show on the west side of the Cascades. Summer steelhead still prevail on the east side of the Cascades, but are starting to show a loss of weight and colors that disclose that they have been in fresh water for a long period of time; their performance is past its peak. They are still great fish, but have, for the most part, lost their ocean chrome. 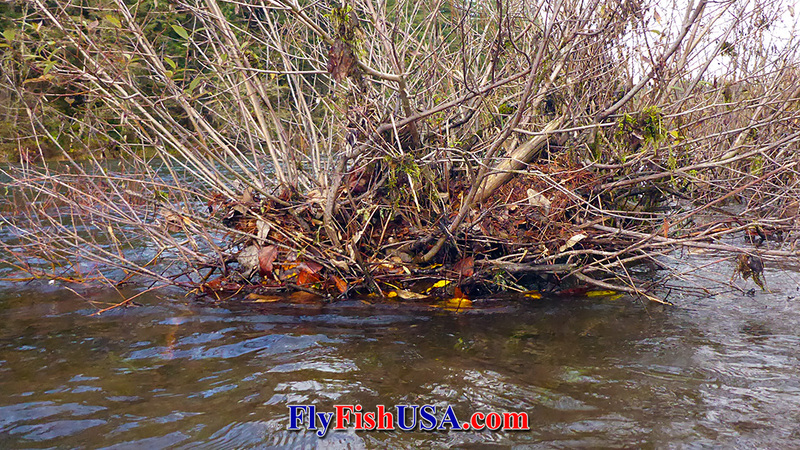 At this time of year, fall rains tend to fill most rivers with falling leaves, which makes some nearly unfishable on some days. It is a period to slow down and check your gear and get ready for the big push of bright steelhead that will start coming in late November. Take time to plan a strategic schedule of when and where you want to be during the coming season. Late October/early November is a great period to book motels and fishing guides for your coming winter steelhead season. The anglers who plan ahead get the best rooms and guides. During mid-November (after the major leaf fall), head for the southern Oregon coast. During this period, it is hard to beat the lower Umpqua before the water rises with winter rains. Winter steelhead are also starting to nose into the Elk, Sixes and Rogue Rivers. By mid-December, the lower Umpqua becomes much larger and is very difficult for wade-fishing. 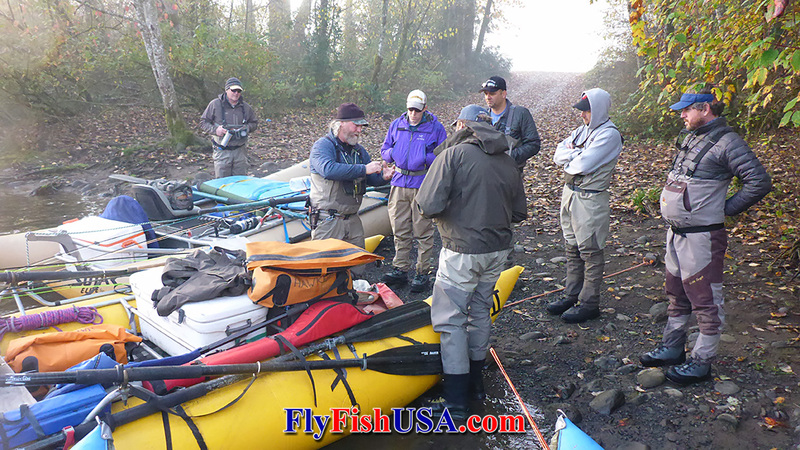 December and January are great months for exploring the rivers that empty into Tillamook Bay. Inland Rivers such as the Clackamas and Sandy will have fishable numbers of steelhead then also, but the odds will be better in February, March and April. February, March and April are also great times to be on the Olympic Peninsula. To make all of it easier, take a Winter Steelhead School. Examine your waders for leaks and possible break-downs. Summer seasons fishing desert fivers can be hard on waders. Lots of plants have weeds. Seeps from pin-holes are slightly annoying when the water is 50-60 degrees, but are much more noticeable when the water is 30-40 degrees. It is a good time to send your waders in for repair, or to hunt for leaks and fix them yourself. Especially inspect the feet, crotch and legs. If you wear Simms waders, turn them inside out and spray them with alcohol. If done properly, leaking areas will turn black and be easy to locate. Patch you waders on the inside with mixture of Aquaseal and Cotol 240. If you are contemplating bootfoot waders for the coming season, it is a good time to order them now before the rush. Check insulating and water proof apparel for wear and leaks. Inspect your wading jacket for abrasions and tears. Also take a good look at your underwear and socks. These garments are often forgotten during the preseason check. Check your wading shoes & traction devices. Wading shoes can make or break your days on the water. Slipping and sliding and taking a dunk during the winter is far more serious than the same act during the summer. Breaking a shoe lace at o-dark-thirty while the guide is trying to launch ahead of other boats can be a huge distraction. Wading shoes take a lot of abuse and need to be inspected regularly. Fly lines, tips, spey swivels and tippets all take a beating. This is especially true if you are a newbie at Spey fishing. Certain kinds of sinking tips can be somewhat fragile and break down quickly under an onslaught of poor casting techniques. Check out loop to loop connections and for cracks in fly line coatings. Spey swivels also need to be checked periodically. Look for rust & quality of dressing materials. Flies that are put away wet into non-ventilated boxes usually have rusty hooks which often stain the materials that the flies are made from. There is nothing you can do with these damaged flies except replace them. 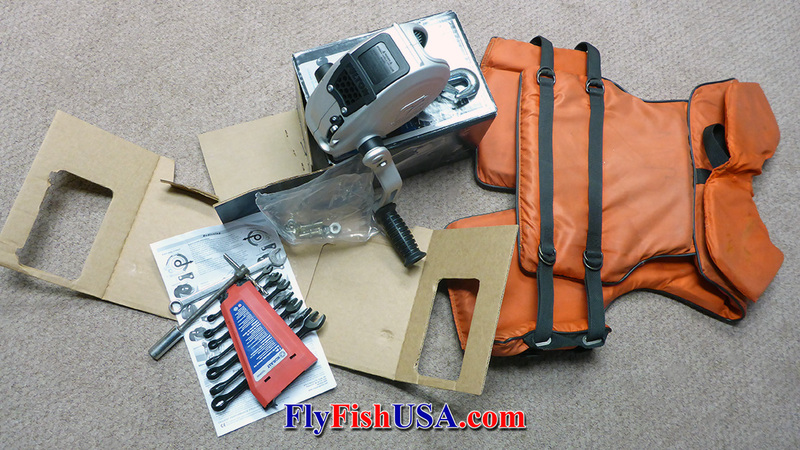 Most accessory tools like clippers, hook files, and hook removers will give great service and last a long time. However, nothing lasts forever. Make sure that your tool kit is in perfect condition. Check your boat and trailer. The off-season is also for fixing boats and trailers. Boat trailers need continual maintenance. Check tires, lights, wheel bearings, rollers, winches, anchor ropes and tie-down straps. There is nothing that will put an end to a trip quicker than a broken boat trailer. Now you are ready for the winter season and you’re feeling good about it.